Every now and then Big Finish revels in the fact that with audio, alien planets are limited only by the imagination. Etheria takes the Doctor and Vicki to a planet that seems to have been designed by the makers of the most imaginative computer games, building on the legacy of old classics like MYST. This story is their struggle through an eerie, dangerous wilderness that the natives never cross, because no one survives it. On the far side, they hope, they will be reunited with Steven and the TARDIS. A native guide has defied his elders’ ban to help Vicki and the Doctor— but why? Why risk his life for the strangers from the sky? It’s evocative and spooky, and unusual in that Peter Purves is reading a story that’s told from Vicki’s point of view. Steven is noticeably absent for most of the adventure. 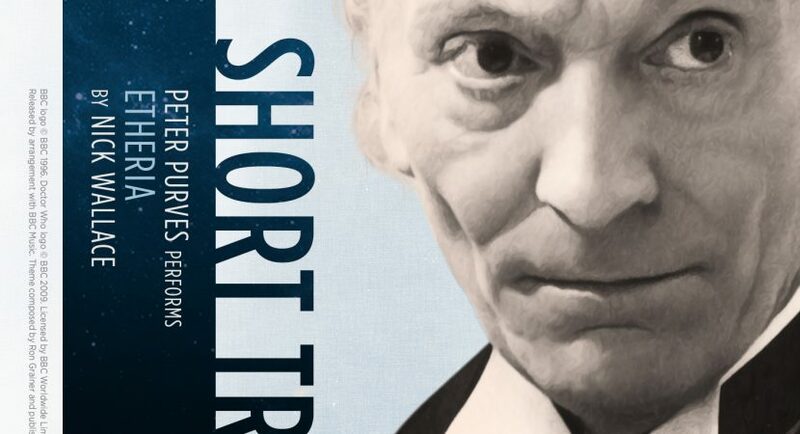 There isn’t much plot until the end, either, when the Doctor rouses himself to become the tough-as-nails First Doctor we remember, echoing that moment when he stared down the War Machine for a memorable cliffhanger. Etheria has a bare-bones plot that hinges on a familiar SF trope, with simple dialogue and few chances for the Doctor and Vicki to display their endearing rapport. But the imagery along the way is astonishing and terrifying, the writing style of this audiobook is vivid and refreshingly different from most Doctor Who, and Peter Purves helps sell the fear and dreamlike quality of the landscape with his compelling delivery.